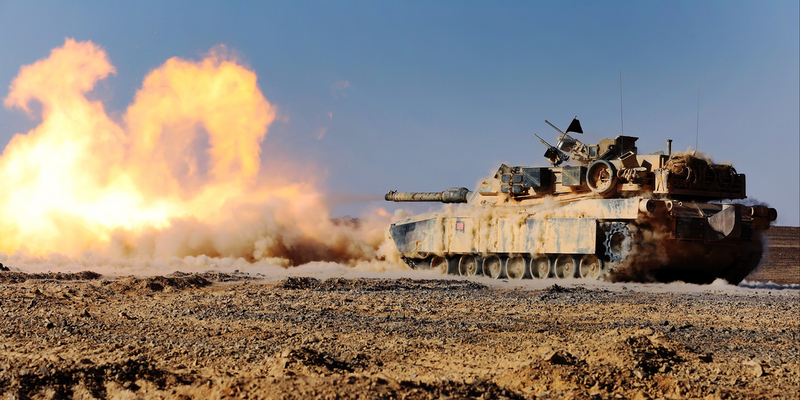 How to Buy a Tank…Yes, Really! Those of us interested in military weapons have had to accept that there are certain military weapons that we’ll never be able to own. It turns out that tanks aren’t one of them. 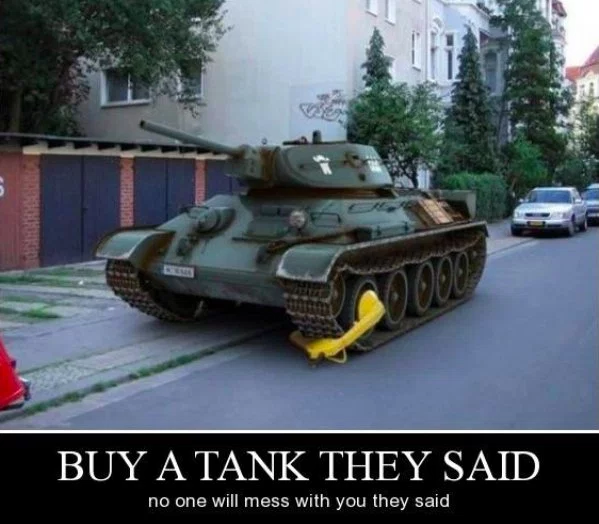 In fact, you can even buy a tank online. If you have tens of thousands of dollars to spend, that is. They’re not exactly budget-friendly. And, of course, it’s not like you can buy military vehicles on Amazon with free two-day shipping, and you can’t pick one up at your local gun store with the same ease as a Glock either. That should hardly be a surprise. It’s also probably going to have to be used (no 2018 models for you!) and it’s probably going to be pretty small…for a tank. Of course, if you’re into the history of the vehicles, then those are not necessarily bad things. The original tanks, produced by the British shortly after the start of World War I, were small, similar in size to the most accessible tanks for civilians. And if it’s used, well, that’s just more history! And it’s still a tank. Even a “small” one is going to be a lot bigger than your Altima or Camry. Don’t worry, most of the ones you can find these days are bigger than this little guy! But again, tanks aren’t exactly cheap. Even low-cost options start around $25,000 or more. That doesn’t mean we can’t pretend in the manner of Tom Segura looking for yachts and private planes, though. So with all that said, you can’t really buy a tank online, at least not legally, right? 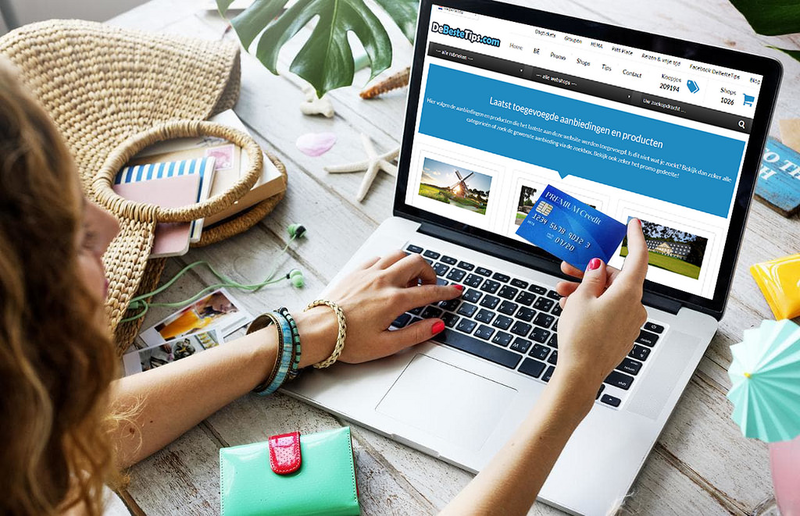 Sure, you can buy just about anything, legal or not, online if you know where to look, but that’s not what I’m talking about. There are, however, some laws you’d need to be aware of, should you win the lottery or inherit from a previously unknown wealthy uncle and decide to spend the money on military weaponry. 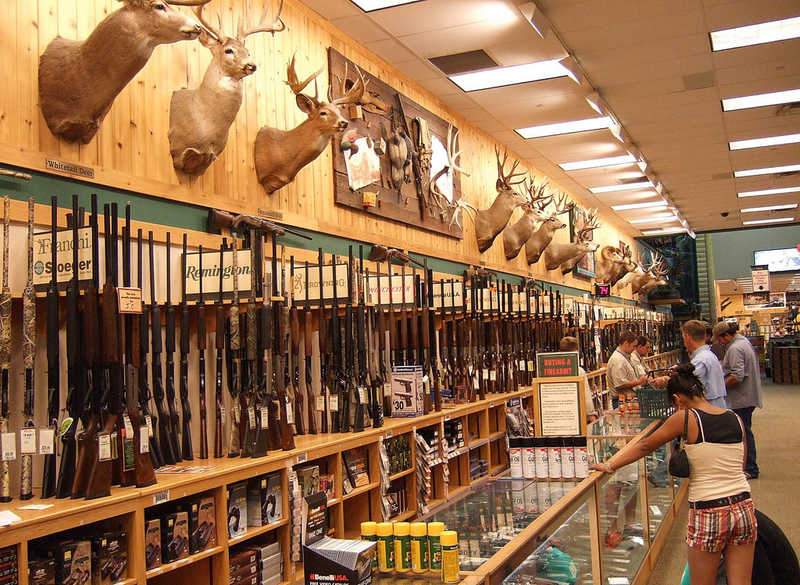 If you’ve been interested in guns for very long, you’re probably familiar with the National Firearms Act, or NFA. If not, this is the primary piece of legislation that regulates certain types of weaponry. The NFA regulates five different categories of firearms: machine guns, short-barreled rifles, short-barreled shotguns, silencers, and destructive devices. The NFA requires an excise tax on the sale or transfer of any firearms that fall into any of these categories, requires that these firearms be registered, and requires that anyone seeking to own one of these firearms undergoes a comprehensive background check.. Permanent transfer of an NFA item over state lines (like in the event of a sale) must be reported to the Bureau of Alcohol, Tobacco, Firearms, and Explosives (ATF). 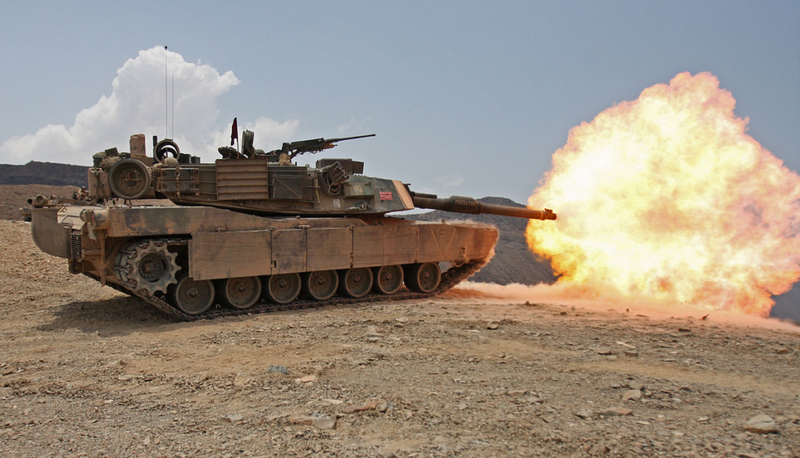 The gun on a tank is going to fall in the category of destructive devices, so as long as you pass the background check and comply with the NFA’s regulations, you can buy a tank of your own! Probably. While the NFA allows civilians to own destructive devices provided that they comply with the above requirements, some states have laws against it. Always check your local laws before buying something like this. You can skip the NFA ordeal altogether, but it requires you to lose half the fun of the tank. The NFA just regulates the gun on the tank, not the vehicle itself. If the gun is rendered inoperable or removed entirely, you don’t have to jump through the NFA’s hoops. I know, I know. But at least you can still crush stuff. Why Do People Even Get Tanks? Okay, so we’ve covered that tanks are expensive in the first place, and you can either spend even more money and deal with NFA regulations or deal with having one without a gun. 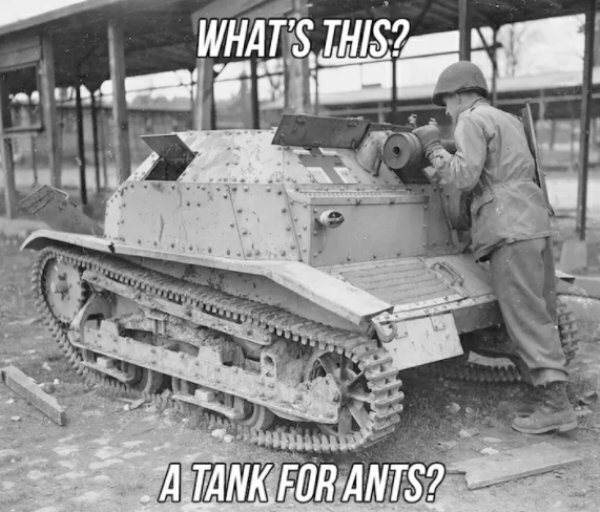 So why, with all the work and money required to get a tank, which may not even have a functional gun, why does anyone even bother getting one at all? After all, it’s not exactly like you could use it to wage war against your neighbor, no matter how many times he lets his dog poop in your yard. Well, for one, they’re awesome. You already know that because, well, you know what a tank is. They’re just great toys and if you have the money, the legal requirements just aren’t bad in comparison when the payoff is getting to own a freakin’ tank. And if you need a celebrity endorsement to be sure, Arnold Schwarzenegger has one, and he loves it and thinks you would, too. Other tank buyers treat it as a business investment. No, I don’t mean the guy who found $2.4 million worth of gold in a tank he bought off of eBay. Some people run business where they rent their tank out to people who want to drive it or, if it has an operable gun, shoot it. Of course, you also need to own property in a location where one can safely do those things, preferably without disturbing any neighbors. Some tank owners provide their services to local parades and other events. The tank needs rubber treads to make sure it doesn’t destroy the road and the driver will probably need special licensing (exactly what kind depends on where you live), but what’s one more thing at this point? Also effective when that spider needs to DIE right this second! 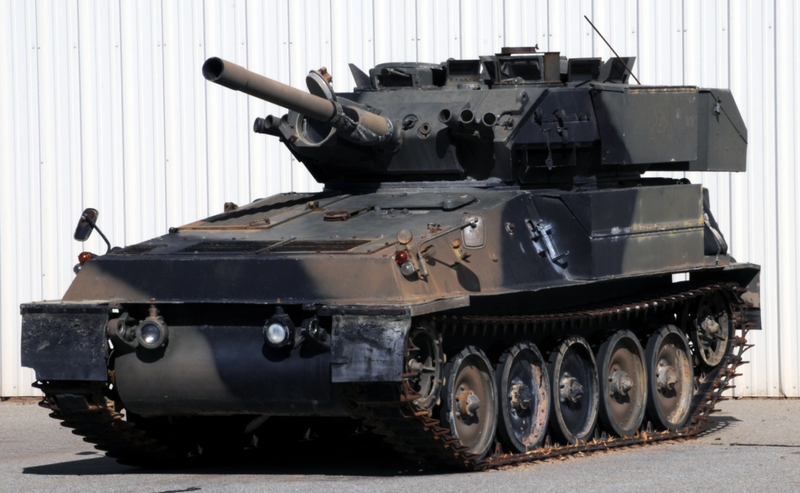 Small enough tanks without functional guns can even be made street legal, so you could just take your tank on a grocery run or to pick the kids up from school. You can find out if this is possible and what exactly what’s required by contacting your local Department of Motor Vehicles or Department of Public Safety. You know, if you were to own a tank. And since we’re fantasizing about tank ownership, we might as well mention the possibilities of using it to protest the firing of the host of your favorite show or taking it on a rampage in revenge against the Nazis after they kill your husband. Basically what I’m saying is that in this hypothetical where any of us could buy a tank, we have plenty of options for what we could do with it. If you’re like me, when you first heard that you could buy a tank online, where seemed like a more reasonable question than why. Laws have loopholes and are constantly changing, but I haven’t exactly stumbled upon the military vehicles section of Amazon or Brownells. They’re actually quite a bit easier to find than you might expect though. 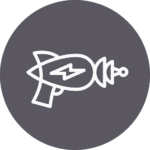 Private sale platforms like Armslist occasionally have a tank pop up, as do auction sites, both firearms related and more general, including eBay. For a more reliable source, military surplus and specialty distributors are the way to go. I’d love to recommend one to you, but alas I don’t have any tank buying experience. I’d be happy to take donations to my “buy Megan a tank” fund, though. I accept PayPal. Unfortunately but not altogether surprisingly, tanks are easier to find for sale in Europe than in the US. Sure, you can technically import one, but there’s a lot of added cost to move it to North America, not to mention that added issues of making sure the sale and transfer is legal, plus the customs laws. Obviously very few of us could actually own a tank, but that doesn’t make it any less fun to think about what we’d do with one if we could. Maybe one day we’ll get lucky, but in the meantime, just keep watching videos to live vicariously through the lucky few who do have one and, if you can, try supporting one of those businesses that allow you to drive their tank. And if you do get lucky enough to own a tank, don’t be like this guy who had to move because he couldn’t park his tank at his house. And for the love of god, make sure you know how to park it legally. Your tank may make you feel on top of the world, but you’re not above the law! Now let’s hear from you guys! 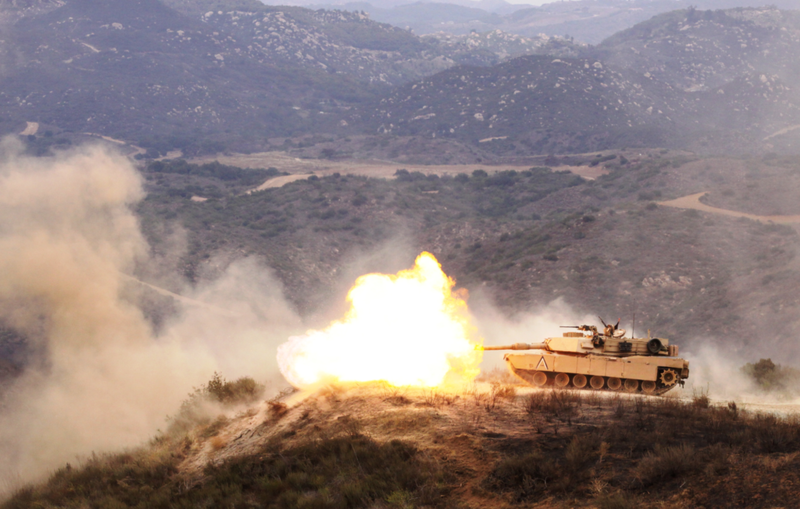 Have you ever gotten to shoot or ride in a tank? Did you own it or pay for the experience? If you do own a tank, tell us more about it! Which particular tank do you have and where did you get it? Share your answers, thoughts, and any questions of your own in the comments! I drove several tanks, including crushing two cars, at driveatank.com. It was AWESOME! If you buy a tank- you have to seriously consider the maintenance. This place had an entire machine shop dedicated to maintaining their tanks. We were also given a one hour history lesson on the development of tanks and there use in battle.. They told us that the average tank will operate about 45 minutes in battle before it becomes disabled. I found that incredulous. Keeps asking me to subscribe. Pop up. I’m subscribed already.. Odd, I’ll pass on the bug report!